Legendary is the natural beauty of the Appalachian region of the eastern United States. While these ancient mountains are dwarfed by the Rockies, no one can argue that there is a special allure in the rugged hills and hollows of Kentucky, Virginia and West Virginia. 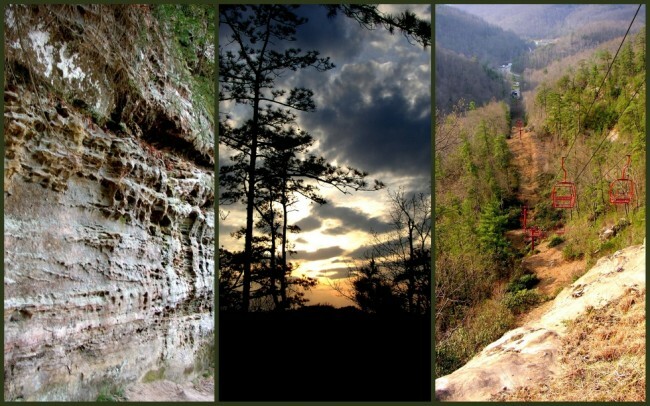 One of the crown jewels of the Bluegrass State has to be Natural Bridge State Resort Park. 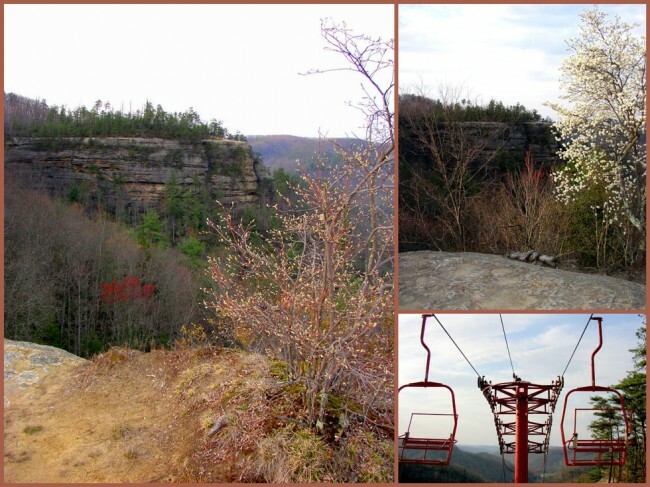 Located near the town of Stanton, it offers some excellent hiking, bird watching, beautiful scenery and of course natural bridges. I’ve had the pleasure of hiking the 4.3 mile Natural Bridge and Hood Branch Loop Trail located at the main park area. This hike gets the blood pumping right away with a respectable uphill climb. Along the way you’ll find several benches and shelters for resting on your trek up to the bridge. At the top you’ll be rewarded with amazing views, both from underneath and from the top. My visit was in the springtime and as such I was able to see the dogwoods and redwoods in full bloom, along with numerous wildflowers brightening the trail. 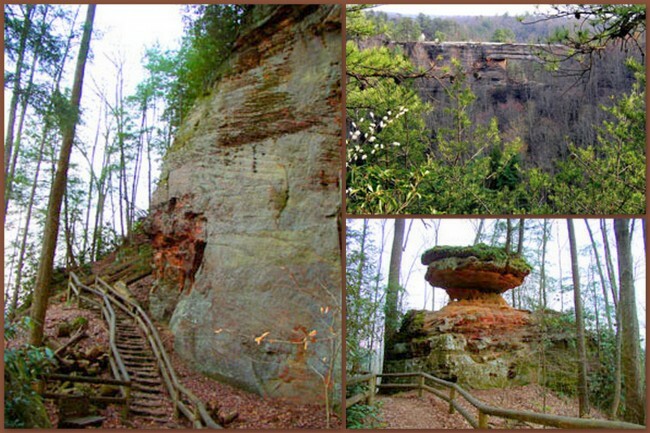 Once you climb on top of the bridge (squeezing through a tight spot known as “Fat Man’s Misery, not to be confused with the original one found in Mammoth Cave), you’ll be treated to a wonderful 360° view of the forest which surrounds you. You’ll be standing at 1,280 feet above sea level. Depending on the season, you may see a kaleidoscope of various colors created by the various plant species which inhabit the region. Red and white oaks, maples, poplars and various coniferous trees will be a delight to see. In Kentucky the spring and fall seasons offer distinct and amazingly different color schemes.